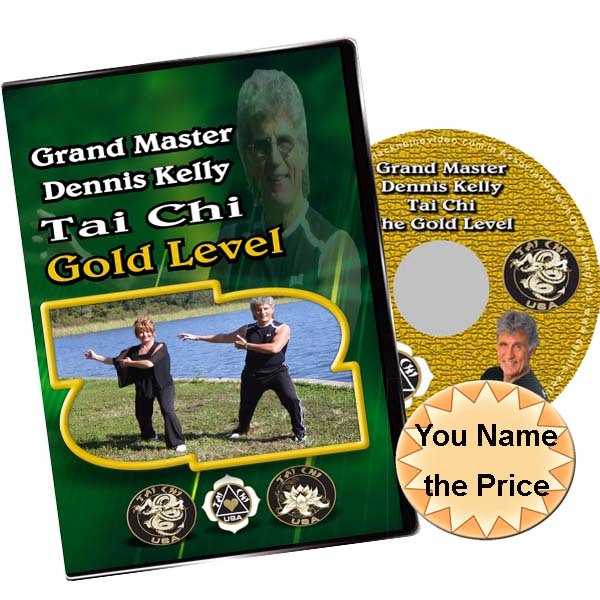 THE CHI KUNG Levels I and II are the official Grand Master Kelly videos using the TAI CHI U.S.A. system. CHI KUNG Levels I & II are for anyone seeking alternative ways to improve metabolism, burn fat, enhance and balance other workout programs already in place. Select y our media type below and get Chi Kung 1 and 2 on DVD for 29.95, or you the complete set of videos streamed to your desktop, laptop,phone or tablet for whatever price you can afford. 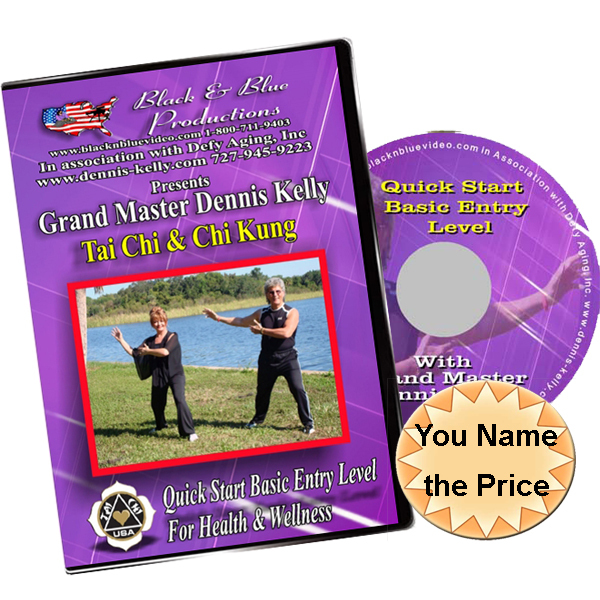 “Name Your Price” is a limited time offer and is our way to introduce you to the amazing health benefits of Chi Kung, Just select Video on Demand and enter the price you can afford, click add to cart and you’ll get immediate access to Chi Kung 1 and 2 immediately. CHI KUNG is the ultimate exercise program to help reduce stress, sharpen focus and concentration, improve balance and increase a sense of well being. These exercises have been choreographed with music and dance like movements to resemble that of animals in nature. Coupled with guided imagery, one can experience a relaxed state and feel a sense of peace and calm immediately and can be integrated with other programs, and is a great cool down, after a strenuous workout. 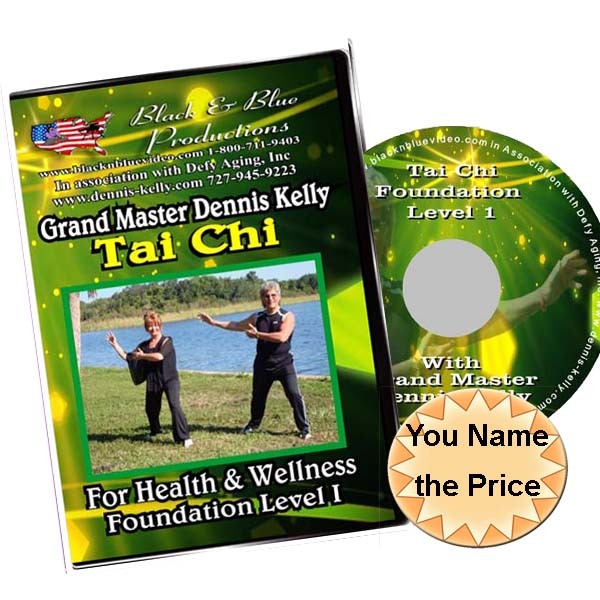 Taken from the ancient art of Chi Kung, a blend of Eastern (traditional Chi Kung) and western technologies, this program aka known as the Tai Chi USA system, is a result of Grand Master Dennis Kelly’s research, and development. 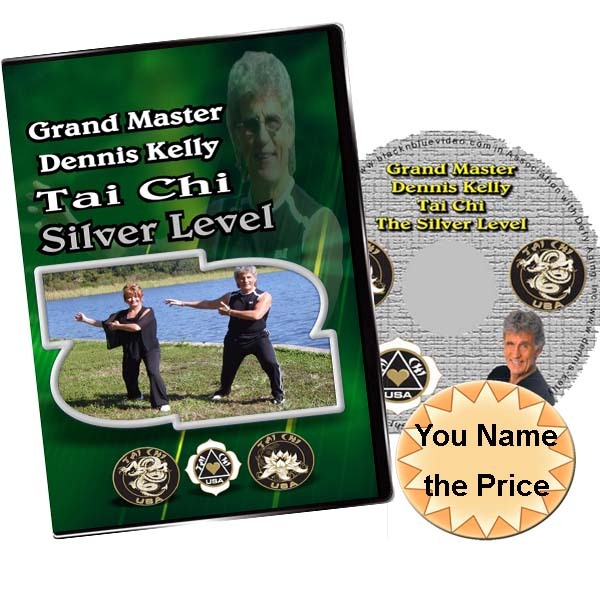 Use of this program has contributed to Master Kelly’s discovery of how to “MASTER the SECRETS of LIFE”, becoming a 6 time World Martial Arts Champion at age 78, and successful work with physically, mentally, emotionally fit and physically challenged people of all ages. This two DVD set has a total of 20 separate movements. In order to help you get access to the amazing benefits as quickly as possible, the videos have been organized so that you can access the 6 Quick Fixes immediately. Then you can go back and access these as needed over and over again at your discretion. The five element Chi Kung stress reducer is designed to reduce cortisol (death hormone) levels to zero and raise DHEA levels (most important hormone of the immune system) from 100 to 300 %. The reason this movement is so powerful, is, the Five Element Stress reducer has Chi Channels that connect from the hands to every organ in the body and every hand position connects with a different organ in a very positive and healthy way. Bring the Lotus to the temple is designed to raise energy levels on a cellular level like no other Chi Kung movement. The Lotus is the sacred flower of Asia. These movements will improve energy levels in the cells by stimulating the cells to detoxify and release strong antioxidants a thousand times stronger than vitamin C and E.
Centering is designed to improve focus, concentration short term memory and peripheral vision. Centering also relaxes the largest nerve in the body, the Vegas nerve. The Vegas nerve runs from the top of the head all the way to the abdominal area. When the Vegas nerve is relaxed, it affects the entire nervous system in a very positive way flooding the body with all sorts of good hormones. The Wave is a very spiritual movement connecting the earth with the heavens and allowing the participant to easily get into a state of serenity, with practice over time. In this state the participant will be able to tap into the world of all infinite possibilities, the super consciousness, where most great ideas have been given birth. I’ve known of Master Kelly for years but have never availed myself of any of his teachings. About 5 years ago I developed a condition in my right shoulder from improper posture while sitting at my desk. The pain at times was intense and the condition was particularly frustrating because it prevented me from working out as I couldn’t even lift my arm over my head without pain. I had tried massage therapy and though I did experience some relief at $100/visit the cost made it unsustainable. Consequently I accepted the fact that I’d just be taking a lot of aspirin for the rest of my life. However for some reason I got the Chi Kung 1 and 2 videos and decided to give them a try. It couldn’t hurt. Right? I’ve only been doing the 4 Quick Fixes from the DVD for the last 10 days and all I can say now is wow!. Last night I decided to do some spring cleaning. Normally any kind of cleaning movement with my hands and arms would be restricted to my left arm but last night I was actually able to vigorously wipe down walls with my right hand with movement over my head and to my utter amazement and delight found I was able to scrub aggressively with very little pain. I look forward to continuing with my Chi Kung routine and look forward to the day my should is completely free of pain. 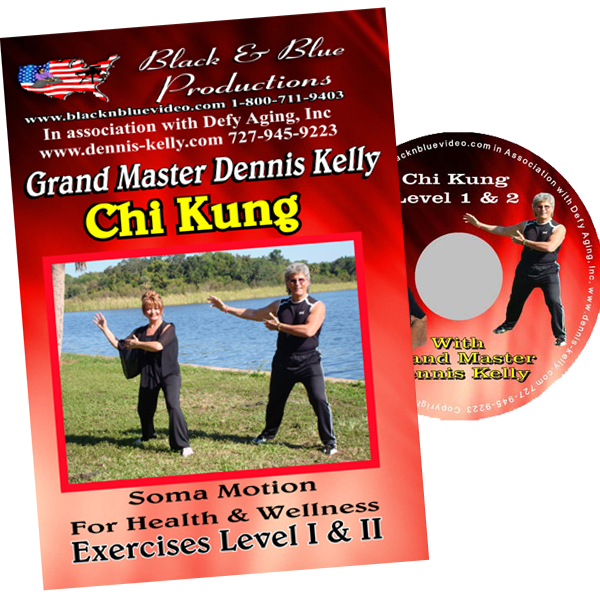 I’ve also experienced other benefits from my short practice of Chi Kung, including a sense of well being, better sleep and better circulation and to think I’ve only practiced 4 movements from this DVD of over 20. Thanks to you Master Kelly I hope by the end of next week I’ll be back to lifting again.